A friend recently asked if I know of any freelancers who could help him create a simple MS Access database for his team to easily add, edit and delete rows of stock exchange related data on a daily basis. I asked him why he mentioned MS Access specifically just to be able to store and capture data. He said that Access was what he learnt in school and it’s the only software he knows that can help him manage large number of records. For many, MS Access and Excel seem to be the only software that comes to their mind when there’s a need for data management and number crunching. I also found out that he needed the database to be accessible via the web by his team members who are at various client sites most of the time. Another problem is that half of his team members are on MACs and it looks like even the latest Microsoft Office for Mac doesn’t have Access in it. Obviously MS Access may not be the right tool for his team just yet. Because of this, I recommended him to check out ZOHO Creator – a simple online database builder. Zoho has been around for quite a number of years and Zoho Creator is one of their 22 online applications that ranges from CRM to Office Suite, Invoicing, Project Management and more. While most of Zoho’s applications are already built based on certain key business functions such as CRM and Project Management, Zoho Creator allows organizations to create apps which aren’t already built. For example, an organization may have a policy which require guests to register their details at the front desk before the person can be allowed into the office area. Rather than asking the guest to write down the details on a piece of paper, a simple guest registration online form can be created using Zoho Creator. I gave Zoho Creator a try and was impressed by it’s intuitive user interface as well as it’s fast loading time, which is very important because you’re actually doing development work on it. The experience needs to be able to match the speed as if you’re developing from a desktop application. Zoho Creator loads up fast enough. There are also many form templates to chose from saving us even more time. 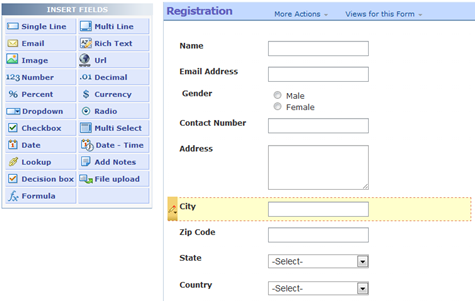 Adding fields into a form is simple. Just chose from any of the 21 types of fields and drag it into the form on the right. When you’re done designing the form, simply click on the “Access this application” tab and you’ll be directed to a page which shows you the actual form. 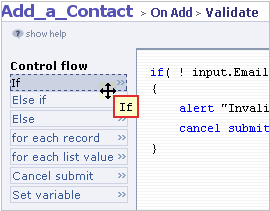 Entering some data and clicking on the submit button will save the data into the database. Isn’t it simple? You don’t even need to spend time creating tables, specify field types and setting primary keys, etc. 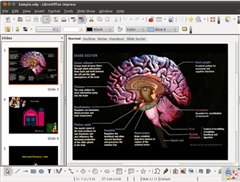 Drag and drop and you’re done. For those who need additional capabilities on their forms such as automatically summing up fields based on certain selections made can use the script builder to easily add business rules and streamline business processes. The online scripting language which is integrated with Zoho Creator is known as Deluge or Data Enriched Language for the universal Grid Environment. Basically anyone with some programming skills can pick up Deluge pretty quickly. Overall I find Zoho Creator a stable, dependable and reliable platform as a service (PaaS). The thing that can make Zoho Creator even better is video based tutorials for beginners to learn step by step on how they can create their very first online application using the tool. Please note that there are so many more Zoho Creator features that I may have missed mentioning. 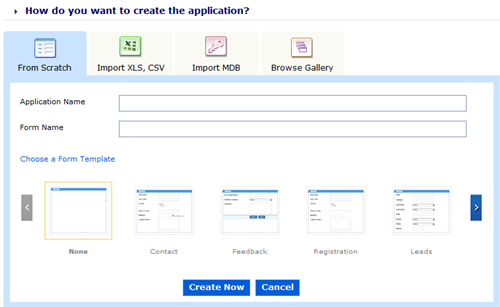 For more details and info about this simple online database builder, do check out Zoho Creator today. Thank you for spreading the capabilities of Zoho Creator.